Ian Hodder was born on November 23, 948 in Bristol, Great Britain. He obtained his Bachelor of Arts degree in Prehistoric Anthropology from London University. He also obtained his PhD from the University of Cambridge in 1975 on “spatial analysis in archaeology.” As a child he traveled a lot and spent time in Singapore, and in Nigeria. He claimed that most of his childhood friends were children of academic parents, his father was also one as well. Ian Hodder is very into music and loves to play the piano when he is away from archaeology. He taught himself how to play jazz and classical music. He knew he wanted to be an archaeologist when he was the age of 15. Since he spent so much time abroad, he said he really enjoyed being away and getting to learn different areas of the country. He says that if he did not get the chance to do archaeology he would focus on international aid work; “I felt very drawn to development issues in less developed countries, and part of me still thinks I will return to that world at some point and get involved in international aid work.” Ian Hodder is the author to various books such as Symbols in Actions (1982), The Present Past (1982), Reading the Past (1986), The Domestication of Europe (1990), Theory and Practice in Archaeology (1992), and The Archaeological Process (1999). He is a “Fellow of the British Academy” and is well known for the work he has done in archaeological theory, especially putting in focus in the area that concerns Post-Processual Archaeology. According to Society for California Archaeology, Ian Hodder was the Awards Banquet Keynote Speaker at the 1999 SCA Annual Meeting in Sacramento According to Society for California Archaeology. The following interview was made possible through the efforts of SCA members Breck Parkman and C. Kristian Roper. We all make mistakes and fail at times. In an interview that was done with Ian Hodder, he was asked what his greatest successes and failures of archaeology were. “Well of course there are the accepted landmarks in the history of archaeology – the demonstration of the antiquity of humans and human culture, the writing of the main outlines of human cultural development, the demonstration of the diverse paths towards agricultural and urban societies. Today I think that archaeology is of importance in demonstrating diversity in an increasingly globalized world. But of course, the other, dangerous side of archaeology is the way it has been used to prop up nationalism and genocide. Today it is part of global, national and ethnic conflicts wherever one looks. For me the great failure is still that archaeologists, however unwittingly, often collude in such processes of identity formation. The underlying difficulty is that we have not sufficiently argued against the idea that the past is something that can be owned. 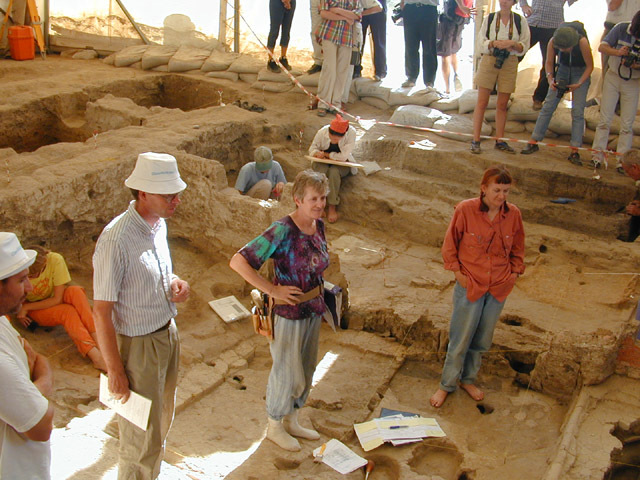 And we have not sufficiently shown to disadvantaged groups across the world how archaeology can play a beneficial role – although great strides have been made in this area in recent decades.” Ian Hodder’s most memorable projects or experiences as an archaeologist was to continuously find new things and look deeper than what was just visible on the surface. He wanted to be able to gain something out of it and give it meaning beyond just being an artifact from ages ago. During his high school time, he remembers finding a tower on the Roman wall around Cambridge. He recalls being very proud even though he claims to have just been lucky to have found it. Years later he started to dig in beautiful and exotic places from Kenya to Knossos and from the high Andes to the Mount Carmel caves in Israel. One of his most exciting moments was in the mid 1980’s. Ian Hodder was directing an excavation of a Neolithic long burial mound in the Fens. Fens is a low-lying waterlogged area. It was located in eastern England. Ian said there was so much thrill when he was scrapping over a flat area of wood that just got bigger and bigger as he cleared through the covering layers. After so much of the cleaning with the new discovery, he later found out it was the roof of a burial chamber and it was remarkably preserved. 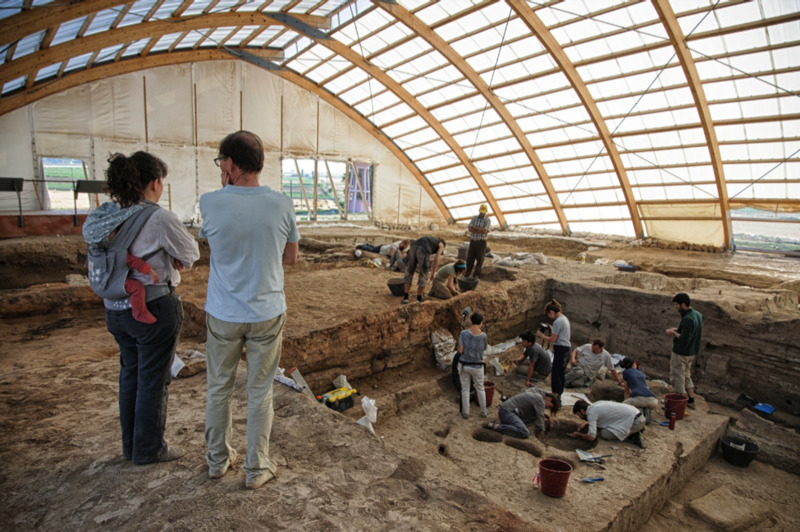 His recent excitement and most memorable experience as an archaeologist was standing for the first time on Çatalhöyük. “The archaeology there is so rich and detailed - I couldn’t believe how dense and how clear the layers were. I felt terribly excited about all the fantastic stuff that must lie beneath my feet, waiting to be discovered after 9000 years.” - Ian Hodder. Ian Hodder did this in three different ways. One of them being for the symbolic structure of Neolithic. He showed that new ideas from social theory could be applied to European prehistory. Following with Reflexive methodology, where Ian argued that the new social theories needed to be accompanied by changes in methodology, in the field and in the laboratory. And lastly in Çatalhöyük, where Ian wanted to show how the application of reflexive methodology on an actual archaeological site. Ian Hodder has done much research and excavations. 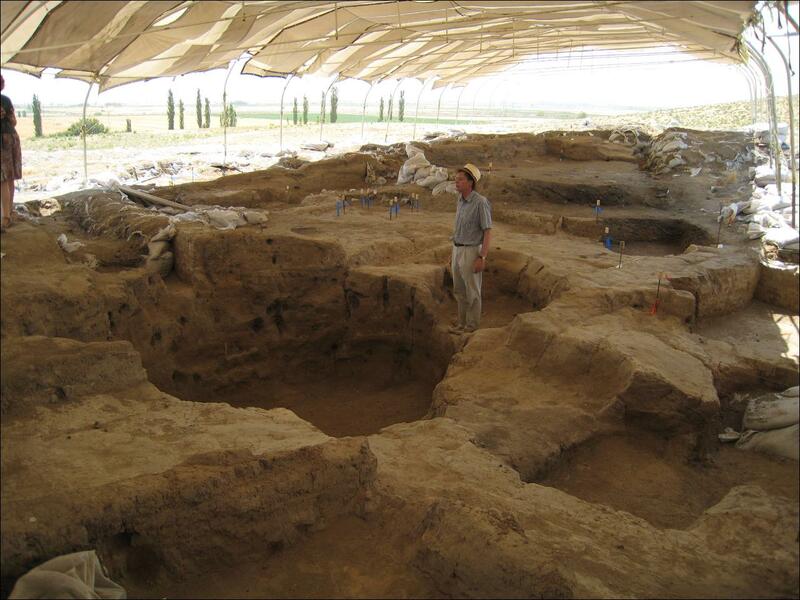 Since 1993, Ian and a group of international archaeologists have carried out new research and excavation on the 9,000 year old Neolithic site of Çatalhöyük which means “forked mound” is located on an upland plateau in central Turkey. Neolithic is a period in the development of human technology, beginning about 10,200 BC, according to the Çatal Hüyük article. The Neolithic research was about how humans have advanced in their tools. It was considered the last part of the Stone Age. Neo is a root used in the English language, it comes from the Greek words neos, which means new or recent. Neolithic means “New Stone.” This project was considered close to a dream projects for Ian Hodder. He explains that he hopes to work in this area for 25 years if possible. It is supposed to be an opportunity for him to try out his ideas about how a project could be run. In this project he has already been able to introduce some of the reflexive methods. He aspires to have more funding to achieve some of his more ambitious goals. This project has been one of his major contributions to archaeology. This project consist of 160 researchers in 36 sub disciplines from 23 different countries. They all have demonstrated the possibility of reflexive methods and developed new theories about the site and about the spread of farming societies. 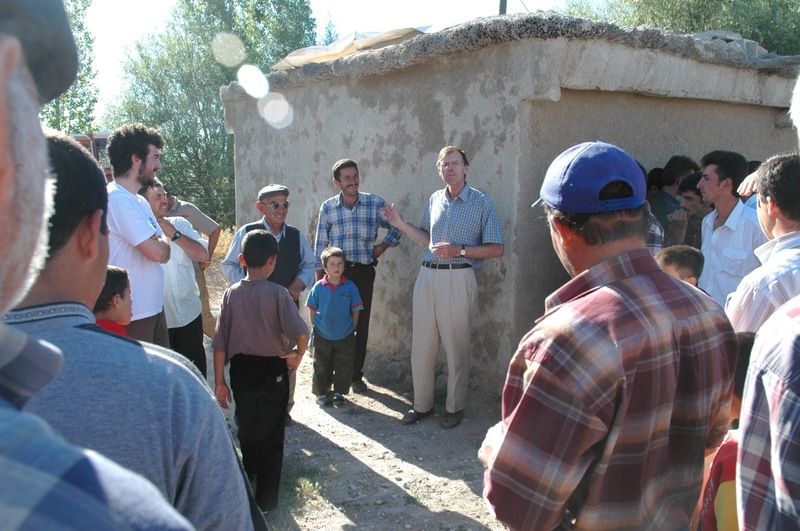 His overall research aim had always been to situate the art and symbolism at Çatalhöyük in their full environmental, economic, social, and cultural contexts. In 1960 during the earlier times for the excavation at the site, there was an argument on there being shrines and a priestly elite. The new detailed research has demonstrated that all the symbolism at the site was part of domestic life, fully integrated into an aggressively egalitarian society held together by a complex network of ritual, social, and economic ties. Those buried in houses were not necessarily biological kin, but membership of houses was dependent on the practices of handling and passing down objects, such as plastered and decorated human skulls. One of the clearest results is that history-making is a key component of the construction of social networks and houses at Çatalhöyük. In the book, The Leopard’s Tail Ian explains these new arguments about the site. Many archaeological sites will show interaction between many groups. The purpose for the archaeologist is to attempt to work between and in relation to all the stakeholder groups. Archaeology is not just excavation of trace of the past but as the insertion of a particular methodology and perspective into people’s relations with their past. Ian Hodder does exactly that if not more when it comes to his recent study in Turkey. Ian will give knowledge to the public and understanding on why things are arranged the way they are. It will open up minds and bring curiosity into finding what is out there. He has shown others that there are different paths towards pursuing the past and getting to know it. Studying a variety of artifacts not only helps society for their own knowledge but also places a contribution for many other archaeologist and anthropologist. Ian Hodder has opened many doors for others to walk through and scoop up any kind of information that is needed. No matter the label that a person is under for working purposes, the contribution is a continuous loop or link that keeps adding on information. He believes that archaeology will increase its roles in the future. The reason being, for academic reasons. He believes there will also be an increase socially. According to Ian Hodder, “All societies need ‘others’ which fascinate, repel, and contrast with their own ways of doing things.” Archaeology offers the most significant source of cultural diversity because ethnographic ‘other’ becomes rare and problematic. By turning over the soil new things are discovered which have to be confronted and made sense of. This will continue to be a social process in which archaeologist can play a role. Ian Hodder demonstrates how important it is to know the past and its content. He explains that it shows diversity within the world and various countries and cultures. There is a way of owning the past and it has to be clarified. Ian Hodder is very passionate about what he does and how it helps people and other researchers gain knowledge. It is very obvious in the way he expresses himself when talking about findings and his adventurous trips abroad. Ian Hodder’s Legacy will change the way people view archaeology. “The recent study in Turkey has been the most important to Ian Hodder. It showed that early complex villages developed outside as well as within the ‘Fertile Crescent’. The art of the site was astonishing – the sheer size of the site at the early date. 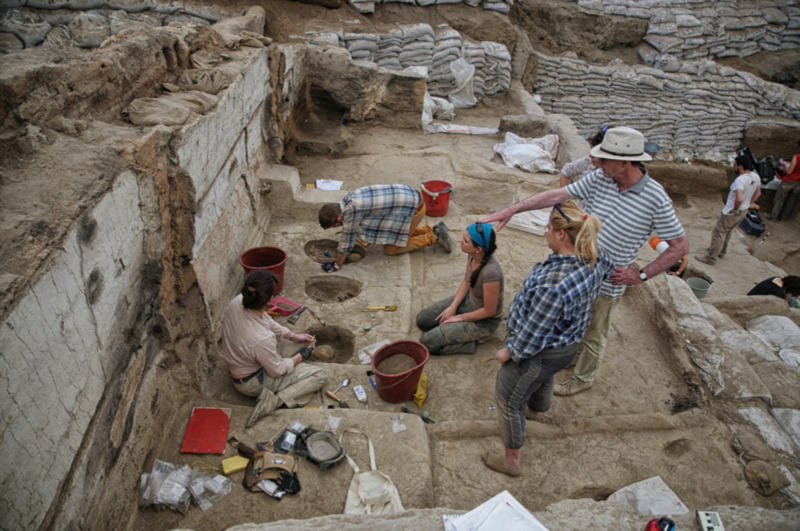 In the work that had been done at the site in the new phase of excavation sine 1993, had the most important points that have begun to make an understanding to the environment Çatalhöyük, as well as the economy and social organizations. The new results from this work covers issues such as the role of women, the domestication of cattle, the invention of pottery and site location at this time. It shows that very large social communities could be created within a ‘village – type’ organizations. It shows that large communities can be held together through the absorption of beliefs and daily practices rather than through the wielding of centralized power.” -Ian Hodder. With his work and contributions towards this recent study, we learn why a community is designed the way it is. Every individual has a role to play and everything that was designed in order to survive has a purpose and a great effect on how todays society works. It can explain or express exactly how and why we do what we do or why or how our instruments have evolved through taking a look into the past. Observing and studying the way humans have lived together and why they decided to get together as a community to form a city gives reason and understanding to our present society on why the community is constructed the way it is. "Ian Hodder, Heritage Plan Tour, Catalhoyuk." Flickr. Yahoo!, n.d. Web. 02 May 2016. .
"Hodder, Ian | Department of Anthropology." Hodder, Ian | Department of Anthropology. N.p., n.d. Web. 02 May 2016. .
"The Domestication of Europe." RSS. N.p., n.d. Web. 02 May 2016. .
"About CA Archaeology." Society for California Archaeology. N.p., n.d. Web. 02 May 2016. .
"Theory and Practice in Archaeology." Google Books. N.p., n.d. Web. 02 May 2016. .
"Post-processual Archaeology." Wikipedia. Wikimedia Foundation, n.d. Web. 02 May 2016. . "Research." Ian Hodder. N.p., n.d. Web. 02 May 2016. .
"Reading the Past: Current Approaches to Interpretation in Archaeology (3rd Edition)." RSS. N.p., n.d. Web. 02 May 2016. . "081000_172738direct." Flickr. Yahoo!, n.d. Web. 02 May 2016. .
"Catal Huyuk Description." Catal Huyuk Description. N.p., n.d. Web. 02 May 2016. .
"The New Stone Age (Neolithic Era)." The New Stone Age (Neolithic Era). N.p., n.d. Web. 02 May 2016. .
"The Leopard's Tale." Goodreads. N.p., n.d. Web. 02 May 2016. .
"Ian Hodder in Building 80." Flickr. Yahoo!, n.d. Web. 02 May 2016. .
"Community Tour with Ian." Flickr. Yahoo!, n.d. Web. 02 May 2016. .
"North Area Field Director Burcu Tung (and Son) and Ian Hodder Oversee Work in Building 77." Flickr. Yahoo!, n.d. Web. 02 May 2016. .